A Man Arrested For Hacking Into Email Accounts Of Celebrities. In 2012, a man was sentenced to 10 years for breaking into the email accounts of Scarlett Johansson, Christina Aguilera and other celebrities. Last year, authorities arrested a Romanian man, known online as “Guccifer,” for hacking into the accounts of Romanian and U.S. public figures. Even more recently, hackers leaked the private photos and videos of tens of celebrities. Recently A man from the Bahamas has been charged after allegedly hacking into the email accounts of celebrities in an effort to steal private files, including scripts for movies and TV shows. The man is accused of stealing personal information, scripts for upcoming movies and TV shows, unreleased music tracks, and sexually explicit videos from victims’ accounts. The personal information stolen by the attacker includes social security numbers and passport copies. 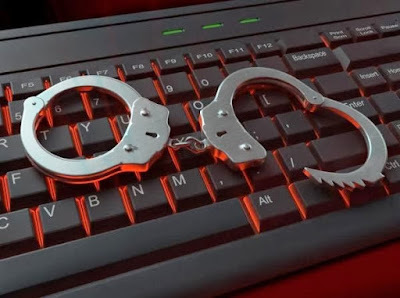 The suspect, 23-year-old Alonzo Knowles, aka “Jeff Moxey,” is said to have used malware and phishing to gain access to the email accounts of individuals working in the entertainment, media and professional sports industries. “This case has all of the elements of the kind of blockbuster script the defendant, Alonzo Knowles, is alleged to have stolen: hacks into celebrities’ private emails, identity theft, and attempts to sell victims’ information to the highest bidder. Unfortunately, these circumstances are all too real,” said Preet Bharara, the US Attorney for the Southern District of New York. Law enforcement learned of the hacker attacks after a man identified as Knowles approached a popular radio host offering to sell scripts for an upcoming season of a drama series. The radio host alerted the show’s executive producer and introduced the hacker to an undercover law enforcement agent. The suspect allegedly told the agent that he possessed a list of phone numbers and email addresses belonging to 130 individuals. Knowles was arrested in New York on December 21 while trying to sell 15 scripts and the SSNs of three professional athletes and an actress for $80,000 to the undercover agent. The suspect has been charged with one count of felony criminal copyright infringement and one count of identity theft. Each of these offenses carries a maximum sentence of five years in prison.